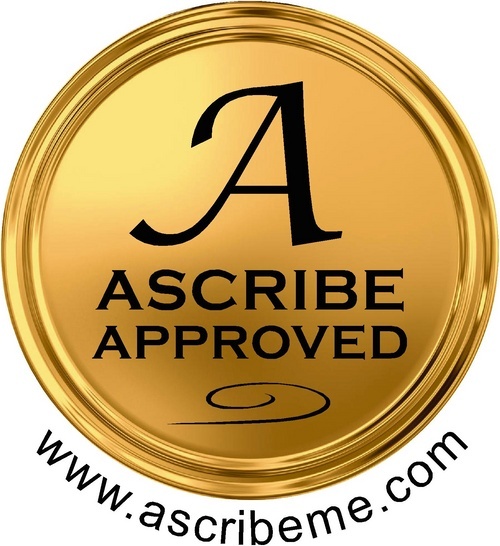 Ascribe—seal of approval for the four novellas. 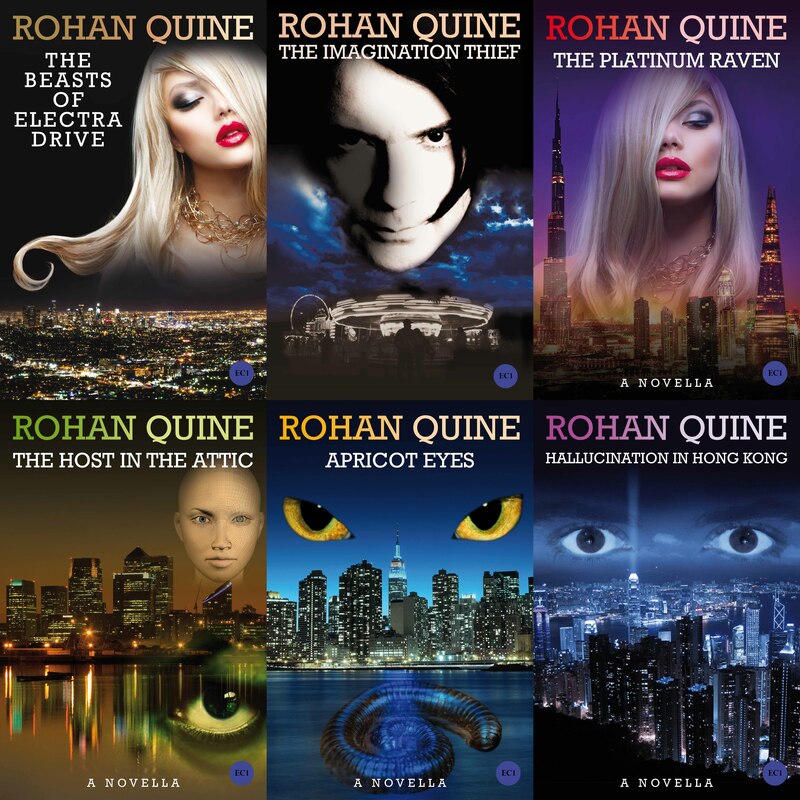 Buy the four novellas by Rohan Quine collected in paperback format, or in ebook format individually as The Platinum Raven, The Host in the Attic, Apricot Eyes and Hallucination in Hong Kong. 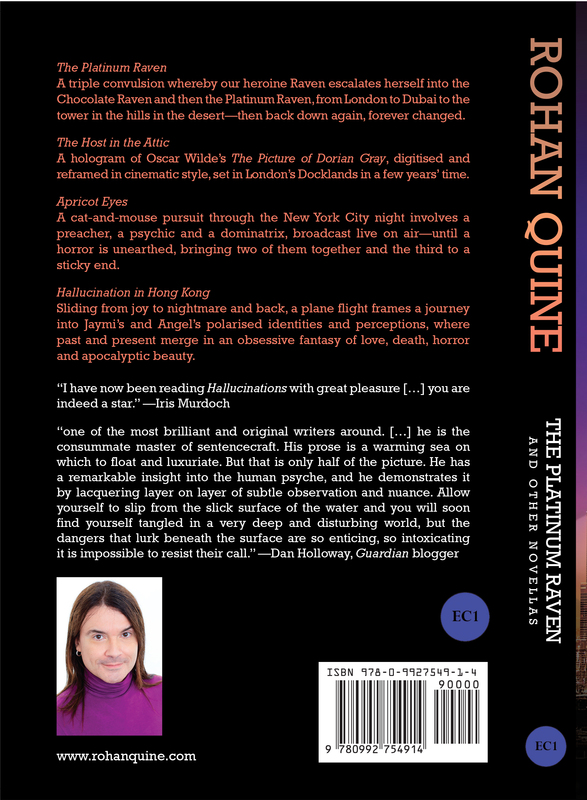 The following are reviews of Rohan Quine’s four-novella collection published under the title Hallucinations (New York: Demon Angel Books), which was released in print in the USA only. 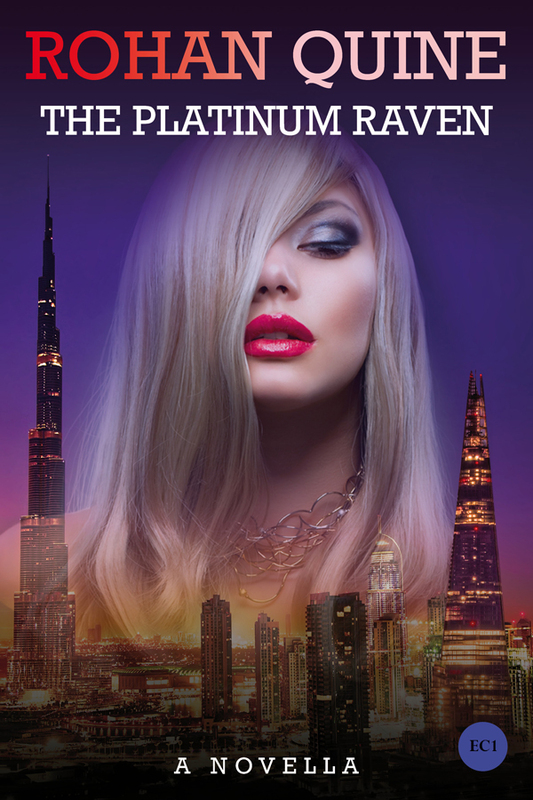 Hallucinations included somewhat earlier versions of: this novella Apricot Eyes; this novella Hallucination in Hong Kong; and a few chapters of this novella The Platinum Raven. 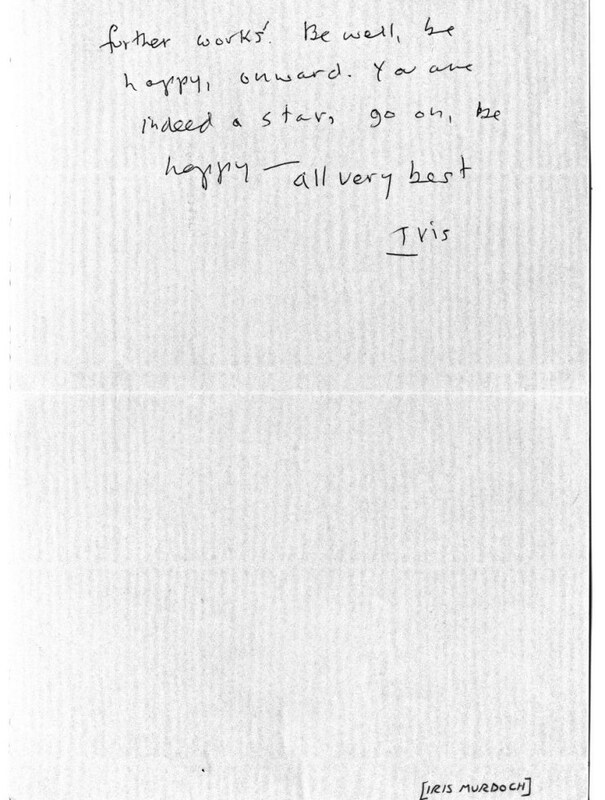 Endorsement by Iris Murdoch of these novellas by Rohan Quine: “I have now been reading Hallucinations with great pleasure […] you are indeed a star.” This letter of hers refers to the four-novella collection published under the title Hallucinations (New York: Demon Angel Books), which was released in print in the USA only. 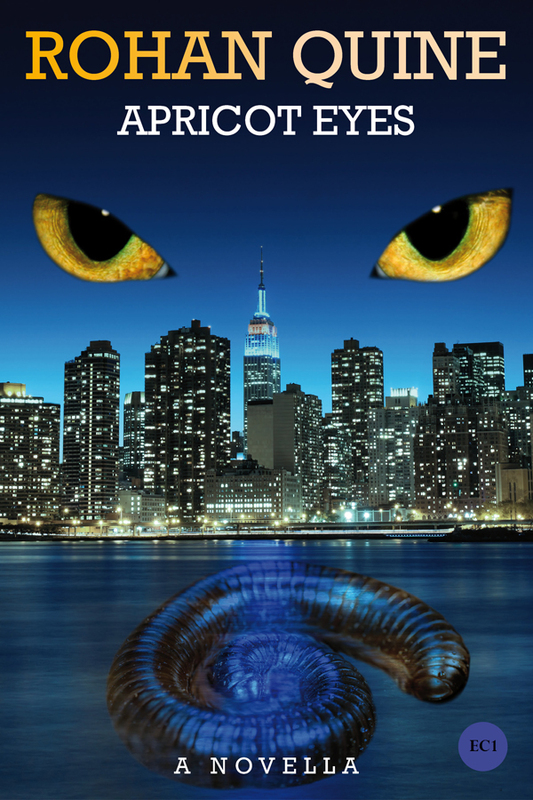 Hallucinations included somewhat earlier versions of: this novella Apricot Eyes; this novella Hallucination in Hong Kong; and a few chapters of this novella The Platinum Raven. 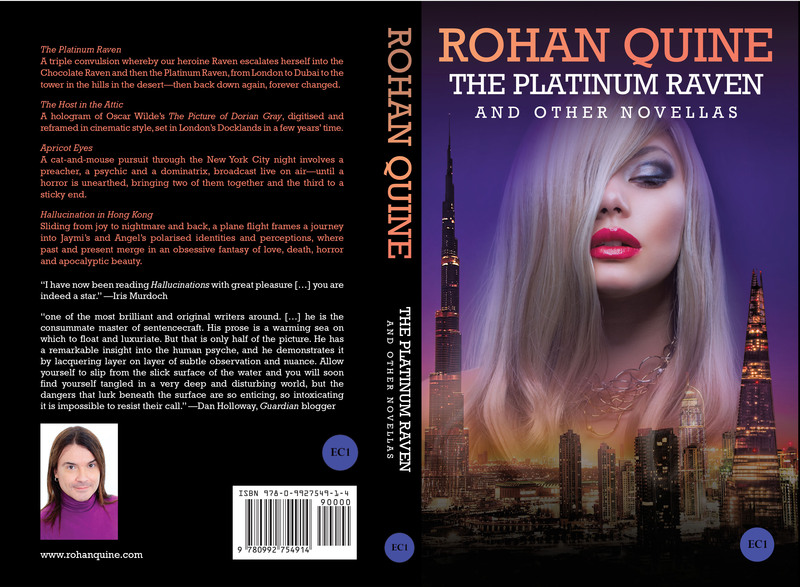 “Rohan Quine – THE PLATINUM RAVEN AND OTHER NOVELLAS – images”. 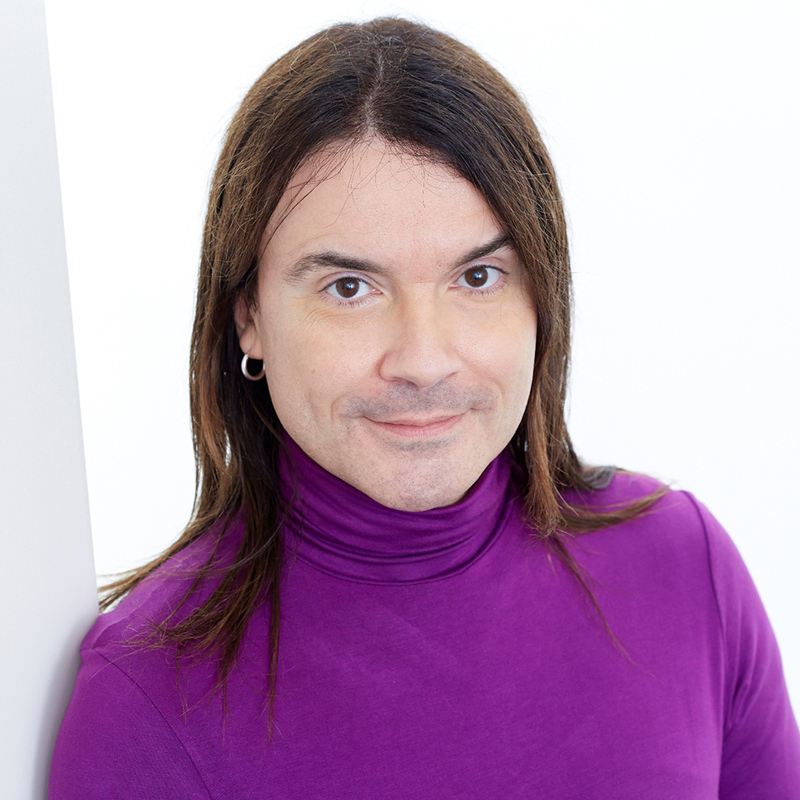 “Rohan Quine – THE PLATINUM RAVEN (novella) – chapter titles”. “Rohan Quine – THE HOST IN THE ATTIC (novella) – chapter titles”. 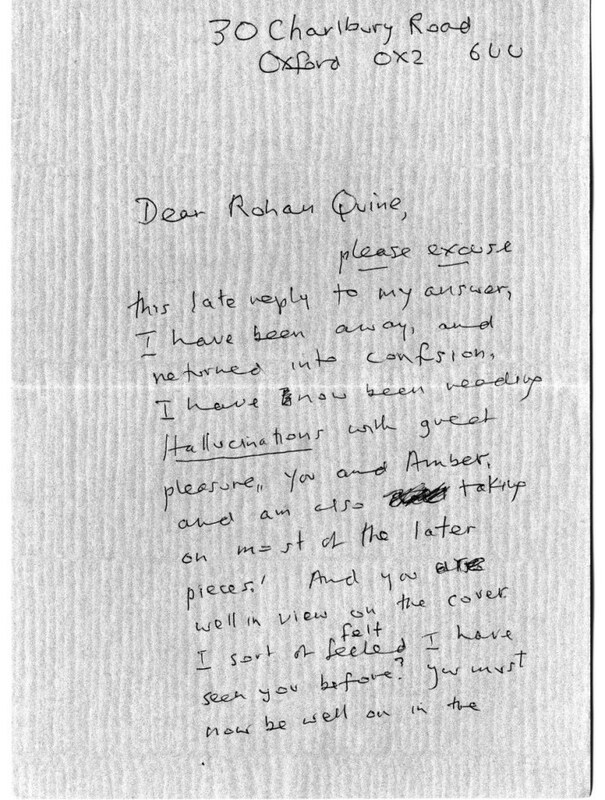 “Rohan Quine – APRICOT EYES (novella) – chapter titles”. 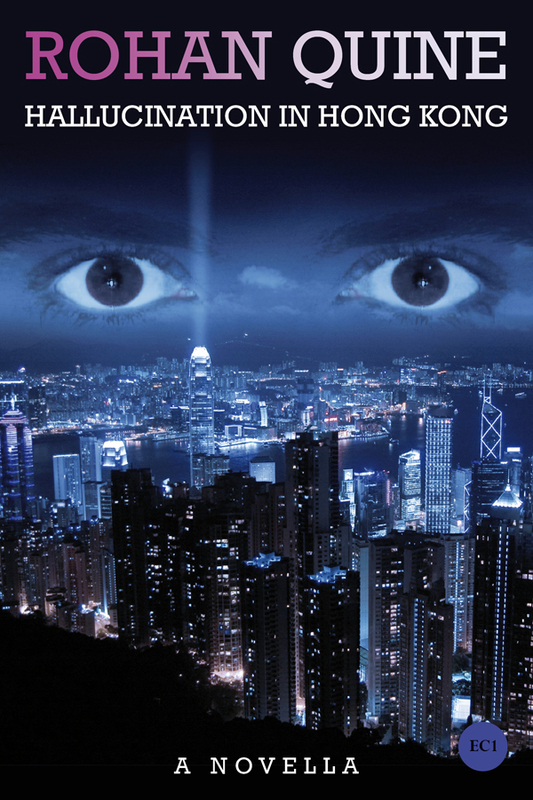 “Rohan Quine – HALLUCINATION IN HONG KONG (novella) – chapter titles”. 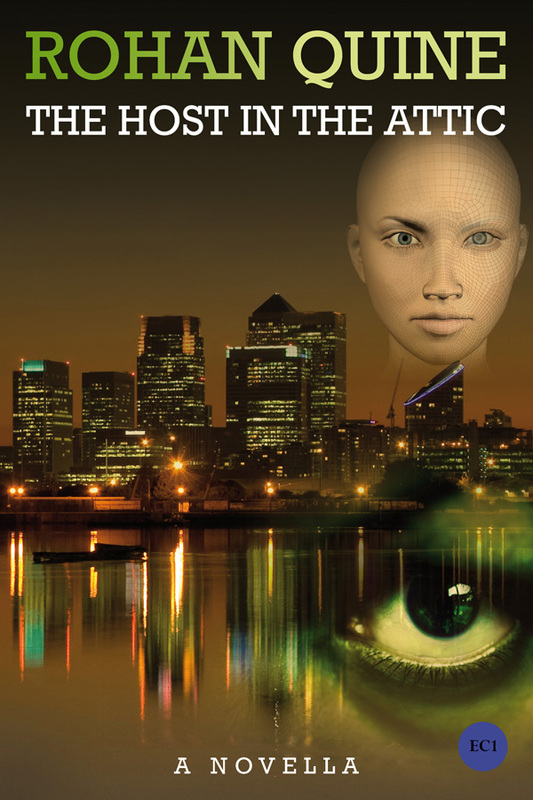 Add Rohan Quine’s The Platinum Raven in Mobi or ePub or paperback format to Goodreads.